Andhra Pradesh and Telangana are well known among the spiritual travellers for its beautifully fortified temples that epitomize the architectural brilliance of ancient times. These consecrated edifices boast soothing serenity that offers peace and delight to the senses of travellers. These temples hold a high place in Hindu mythology and thus hold a high significance in the religion. This 12 Nights and 13 Days of itinerary of pilgrimage trip of Andhra and Telangana takes travellers to beautiful and stunning temples located in these states. Other than temples, the tour incorporates visiting historic monuments as well. The trip starts from Hyderabad. 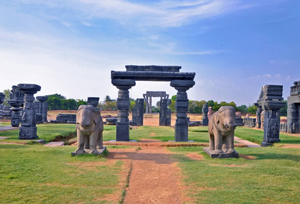 The major highlights of the trip are visiting Golkunda Fort and royal Tombs of the Qutb Shahi kings in Hyderabad, exploring temples in Warangal and Vijayawafa, traversing through Buddhist remains in Nagarjuna Sagar, and much more. On arrival at Hyderabad Airport/Railway station, meet our tour representative who will be there for your welcome and smooth transfer to your already booked hotel in the city. Check in at the hotel and rest for some time. The rest of the day is free at leisure. During your free time, you can go out to explore the nearby attractions or walk down the streets, enjoy street food and speak to locals. Later, return back to the hotel for an overnight stay. 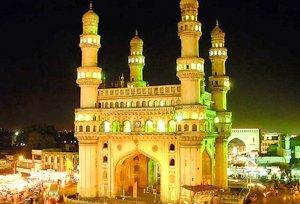 After breakfast in the morning, we will leave to visit the famous architectural heritage sites of Hyderabad. We will head to the royal Tombs of the Qutb Shahi Kings and the magnificent Golkonda Fort also known as Golconda or Golla konda. This fort is the capital of the medieval sultanate of the Qutb Shahi dynasty and is located 11 kms of Hyderabad. Thereafter, we will visit Nizams Museums, which is located in Hyderabad at Purani Haveli. It is a palace of the former Nizams and showcases the gifts that the last Nizam of Hyderabad state, Osman Ali Khan, Asaf Jah VII received on his silver jubilee celebrations. Afterwards, we will head towards Birla Temple, a Hindu temple that is built on a 280 feet high hillock called Naubath Pahad. Rest the evening is free at leisure. During your free time you can explore the local markets and buy artefacts as gifts. Later, we will return back to the hotel for dinner followed by an overnight stay. We will start our day a bit early in the morning and have breakfast before leaving to visit the other major tourist places of Hyderabad city. In our today's day tour, we will be visiting 'One Man Collection' - Salarjung Museum. This national museum comprise of a wide collection of ceramics, metallic artifacts, paintings, manuscripts, carpets, carvings, textiles and clocks. Also, visitors can witness a vast collection of furniture from various countries across the globe including North America, Persia, Egypt, Europe, Japan, Burma and many others. After exploring the museum, we will head towards Charminar, well known as The Arc de Triomphe of the east. It is the second biggest Mosque of India. Later, we will return back to the hotel for a relaxing overnight stay. In the morning after breakfast, we will check out from the hotel in Hyderabad and leave for Warangal by road. On the way, we will stop to visit Pembarti Village for its carpet weaving center, Brass making, and Kulpakji (Kolanupaka) for the 2000 years Jain Temple. Afterwards, we will continue our drive to Warangal. On reaching, check in at the already booked hotel and rest for some time. The rest of the day is free at leisure. During your free time you can either rest in the room or go out for exploring the major tourist attractions of the place. Enjoy dinner followed by an overnight stay in the hotel. Today we will start our day a bit early in the morning and have breakfast before checking out from the hotel and leaving by road for Vijayawada. On the way, we will stop to visit the Ramappa Temple, the 1000 Pillar Temple. One can witness sculpted figures that are inspired from Hindu mythology drawn on the wall panels, pillars and ceiling. We will also visit the mud-brick forts that are ruins today. Afterwards, we will continue our drive to Vijayawada. On arrival, check in at the pre-booked hotel for a relaxing overnight stay. After breakfast in the morning, we will leave for guided tour to Kondapali Village. Once can explore the unique wooden toys in the village and spend a wonderful time. Afterwards, we will visit Kanaka Durga Temple, an ancient living temple with inscriptions of different dynasties. In the afternoon, we will visit a finest testimonial of ancient Vishwakarma Sthapathis, Undavalli Caves. After completing a full day excursion, we will return back to the hotel for dinner followed by an overnight stay. Today after breakfast in the morning, we will check out from the hotel in Vijayawada and leave for Nagarjuna Sagar by road. On reaching, check in at the already booked hotel and rest for a while. Later in the afternoon, we will visit the Nagarjuna Konda and Anupu - the Amphitheatre. Nagarjunakonda is a historical Buddhist town now an island situated near Nagarjuna Sagar in Guntur district in Andhra Pradesh. Afterwards, we will visit various other Buddhist remains in the area. Later in the evening, we will return back to the hotel for dinner and a comfortable overnight stay. 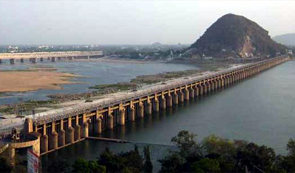 In the morning after breakfast, we will check out from the hotel in Nagarjuna Sagar and leave by raod for Srisailam. On reaching, check in at the already booked hotel and relax for some time. Later in the evening, we will pay a visit to Mallikarjuna Temple. The temple is one of the twelve Jyotir Lingam temples of India and is situated in the Jungles of Nallamala. After exploring the temple, we will return back to the hotel for dinner and an overnight stay. After morning breakfast, we will check out from the hotel in Srisailam and drive to Kurnool. On reaching, check in at the pre-booked hotel and relax for some time. Later in the afternoon, we will pay a visit to the magnificent 7th century Chalukyan Nava Bramha temples. Located at Alampur in Telangana, there are a total of nine temples in Alampur and all of them are devoted to Lord Shiva. Afterwards, we will head towards the wonderful museum at Alampur. Later in the evening, we will return back to the hotel for dinner followed by an overnight stay. We will start our day a bit early in the morning and have breakfast before checking out from the hotel in Kurnool and driving to Puttaparthy (Puttaparthi). On reaching, check in at the already booked hotel in Puttaparthy and freshen up. Later in the afternoon, we will visit Vijayanagar temple and the great Nandi at Lepakshi temple. Constructed in the 16th century, the Lepakshi Temple is a brilliant example of the Vijayanagar style of architecture. After exploring these ancient temples, we will visit the impressive Fort ruins at Penugonda. Later, we will return back to the hotel for dinner and a comfy overnight stay. 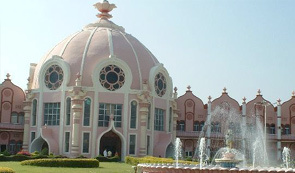 The day is fixed for the full day excursion to Puttaparthy Prasanthi Nilayam, the main ashram of Sri Sathya Sai Baba. Established 40 years ago, the ashram offer a soothing ambience that offer peace to the soul and mind of the visitors. We will attend the early morning prayers in the ashram and later explore the attractions of the ashram. We will also attend evening prayers and afterwards we will return back to the hotel for an overnight stay. We will start our day a bit early in the morning and be ready to leave for a full day excursion to Tirupathi (Tirupati). We will start our day tour by paying a visit to the Govindaraja temple. It is one of the substantial sub temples associated with Sri Venkateswara Swamy Tirupati dedicated to Lord Govindaraja who is believed to be the elder brother of Lord Balaji. Afterwards, we will head towards Padmavati temple, the most prominent shrine of Padmavathi or Alamelumanga who is believed to be the consort of Lord Venkateswara. Later in the evening, we will return back to the hotel, for dinner followed by an overnight stay.